Dying to keep your home safe from rodents and pests, but you don’t know how? The key here is to be proactive in pest prevention. 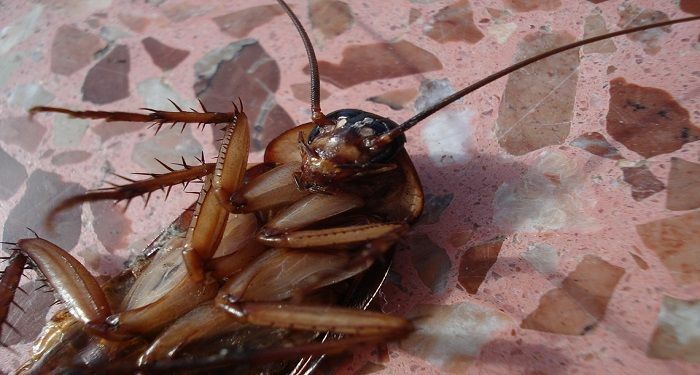 If you notice a fly, a cockroach, or a rodent roaming around your house, it may already be too late. A single pest can be a sign of a much larger existing problem. Pests can spread illnesses. Bugs can also drive you nuts. But having a pest-free home is not impossible. You just have to take the necessary steps to safeguard your children, pets, and property. Pest control experts share some key steps to help keep your home free from any pest all year round. During the cold months, most pests take shelter in warmer areas, like in cracks in the walls and other features of your home. A crack in your property’s foundation can attract bugs and mice. Once they enter, they can stay there for months or even years since they now have a stable food source with no need to go elsewhere. Each season, look for cracks where rodents and pests can crawl easily, and repair them accordingly. Moreover, check the windows and doors. Seal all edges that may have cracks to make your home energy efficient, too. If you have large piles of wood debris and leaves in your yard, remove them. Also, store the firewood away from your property. Rodents and insects can use these spaces for shelter and warmth. The soil underneath these piles will be moist and will thus attract pests. Water is a magnet for pests, so always stay on top of plumbing leaks, gutter leaks, or roof leaks to keep bugs from entering your home. Let plumbing experts professionally fix leaks. Avoid over-watering your lawns as well. This will help prevent pests from making their way into your home. A spotless home may still suffer from insect problems. A pest infestation can be reduced greatly if a kitchen is always kept clean. Remove any crumbs that might have fallen while preparing meals by sweeping the floors regularly. Also, keep the kitchen sink free of dirty dishes, and the counter free of any exposed food. Don’t forget to take out the trash regularly. Your kitchen is a buffet for pests and rodents, so always be diligent with keeping it clean. Trim the bushes and trees in your yard. These plants might be used by small animals to gain access to your roof, making their way into your home’s attic. Hire a tree trimming service so pests can’t find or create an entryway through your roof. Seal and store away all garbage cans and recycling bins. If you wish to compost, do it far away from your home. Also, use a sealed compost container. Yard maintenance won’t just help your outdoor space look its best; this is also essential for minimizing problematic pests. Removing stagnant water is among the most important things you can do. Check all items stored outdoors, even the tire swings. Cover anything that can collect water, including the swimming pool. Moreover, cut the grass regularly to keep pests at bay. Long grasses attract ticks, mosquitoes, and other insects, and most bugs turn them into a breeding ground. Why Do Bedbugs Keep Coming Back In Your House? Just Find Out!